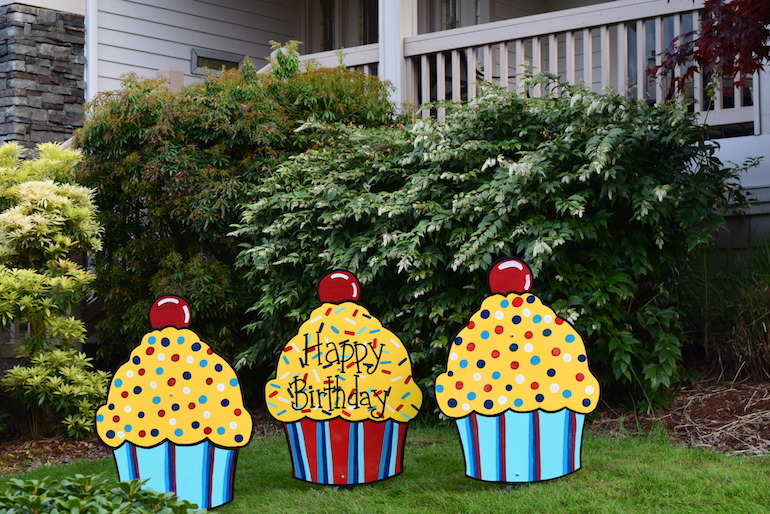 This rental includes three 36″ custom made cupcake signs in blue, red & yellow. Painted in whimsical patterns with primary colors by a very talented artist. 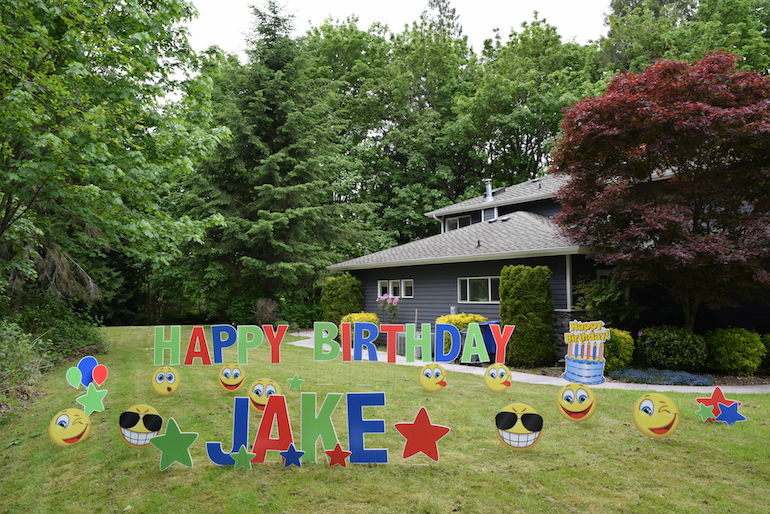 They will add the perfect touch to your birthday party! 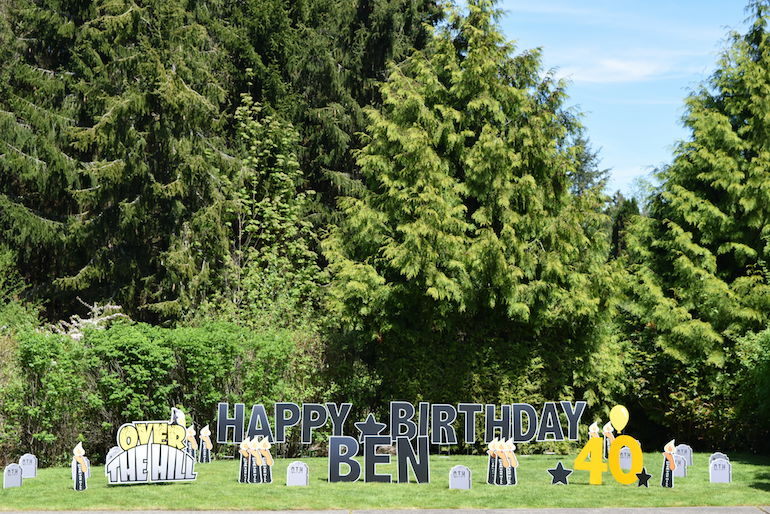 They also make for a great yard surprise for your special someone and provide a fantastic photo opportunity. The middle cupcake says Happy Birthday. 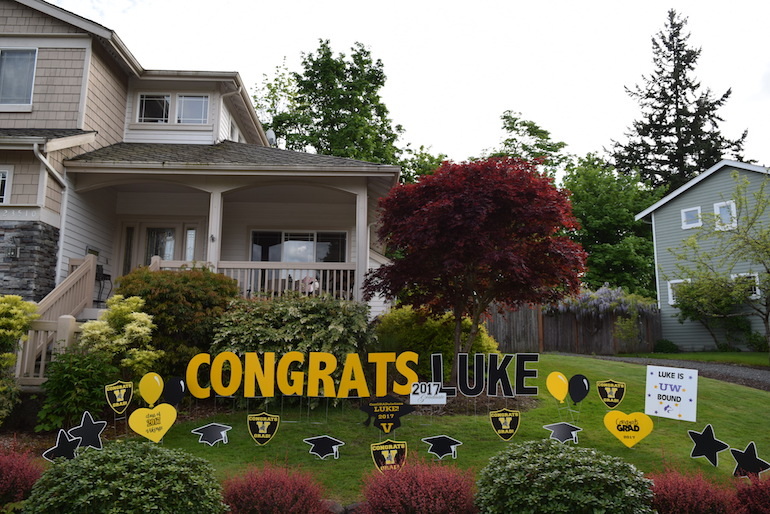 They can be mixed and matched with other signs that we have in stock for a small extra fee.